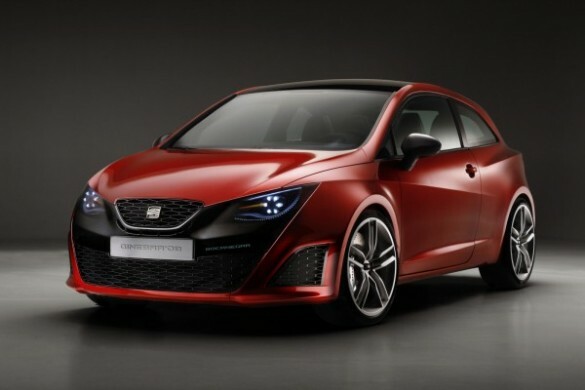 Introducing the new SEAT Bocanegra. For all you non Spanish-speaking individuals out there, “bocanegra” means black mouth. I personally would have preferred “sin dientes,” as it reminds me more of an empty mouth..a gummy octogenarian’s smile or your great-grandmother leaning in to plant one on you because it’s your birthday. But I digress. The Bocanegra has some potential. Like the ugly girl who goes out clubbing bearing massive cleavage with tons of makeup on and a load of blingage. The vehicle itself is unattractive, but its accessories make you rethink your initial reaction. I like the lights, they look like eyes :) but I’m a girl, so what do I know about cars?